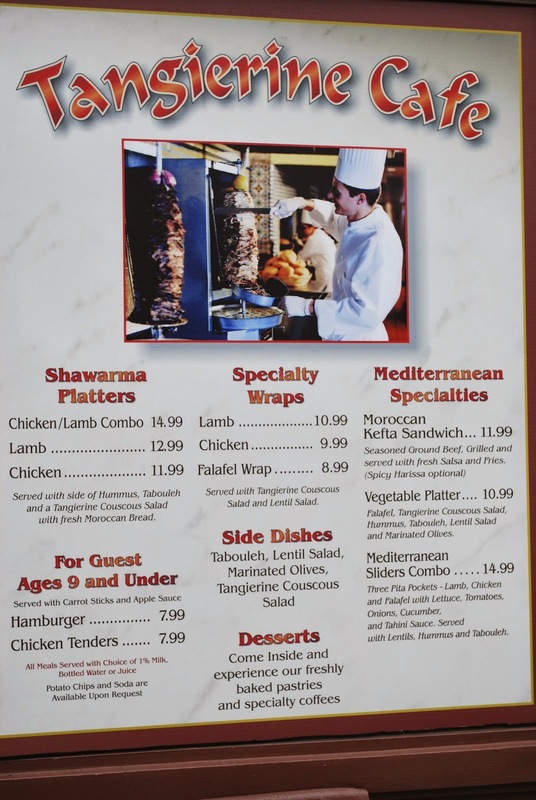 If you are pressed for time and want the flavor of Morocco, without the sit down service, drop by EPCOT’s Tangierine Café. This counter service taste of Morocco has all of the spice and exotic flavor without the wait-time. The menu is comprised of things like Mediterranean wraps and platters and traditional platters. You may also order side dishes and desserts. The Tangierine Children’s menu is typical American fare, making it easy to try something new with kids in tow. This counter service gives a real taste of Marrakesh, while leaving plenty of time to explore the beautiful marketplace. In a rush, but want a taste of Morocco? Try the Tangierine Café.